For the three-day window of Wednesday to Friday (Dec. 19-21), high school seniors will have the option to sign with their NCAA school of choice. 13WMAZ has a continuous, real-time story of Central Georgia athletes participating in Early Signing Day. WHEN DID NATIONAL SIGNING DAY BEGIN? The modern-day incarnation of this coveted date on the college football calendar launched in February 1982, after the College Football Association (along with high-profile coaches) successfully lobbied for a universal date for all NCAA football institutions. Since then, National Signing Day has essentially covered the first Tuesday or Wednesday of February; and within this uniformity, the TV networks (read: ESPN) found a way to market the coverage of the event ... not unlike how ESPN transformed interest in the NFL Draft in the early 1980s. WHEN DID EARLY SIGNING DAY BECOMING A THING? We're entering Year 2 of this three-day window in December, where high school seniors can officially sign with their schools of choice before the Christmas and New Year's holidays. 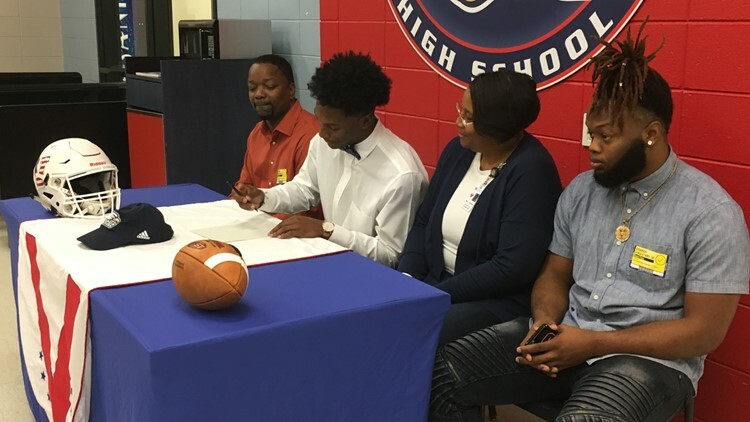 10 a.m.: Veterans HS senior Java'n Singletary signs with Georgia Southern University. Java'n will enroll early at the university starting in January. Perry HS senior Antwann Fann signed to play football at KSU in Georgia and Davion Ross signed to play at Eastern Kentucky University. 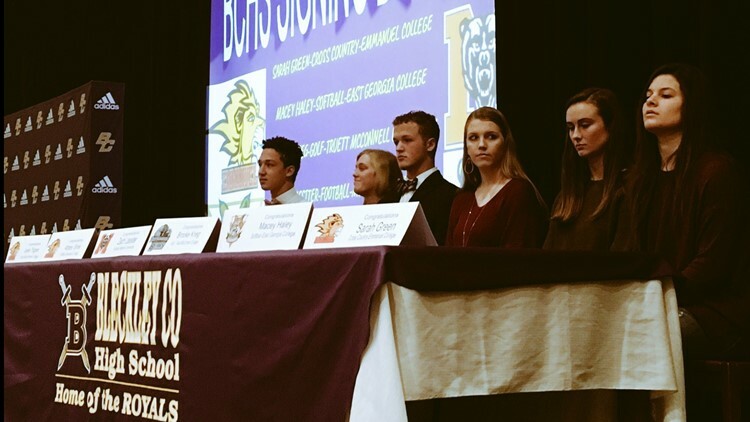 11:30 a.m.: Bleckley County High School and Warner Robins High had several senior athletes sign on Wednesday. Sarah Green and Jaylen Thigpen signed to Emmanuel College for cross country. Macey Haley signed to play softball for East Georgia College and Abbey Sims signed to play softball for Emmanuel College. Brooke Krieg signed to play golf at Truett McConnell College. 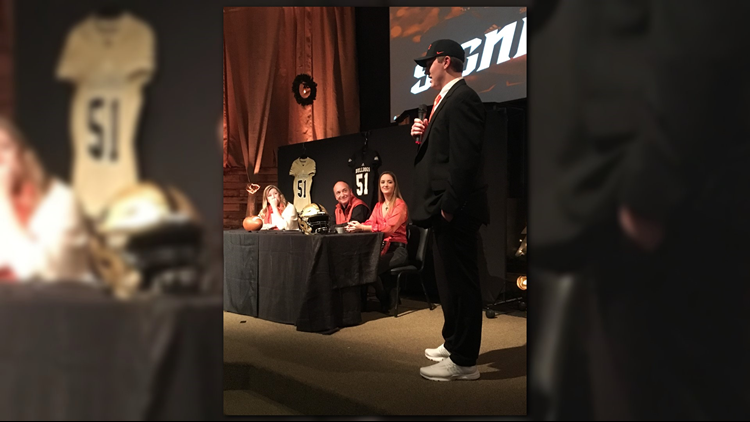 Dylan Fromm was not in attendance but signed to play football for Mercer University. His brother Tyler Fromm was also not in attendance but signed to play football at Auburn University. 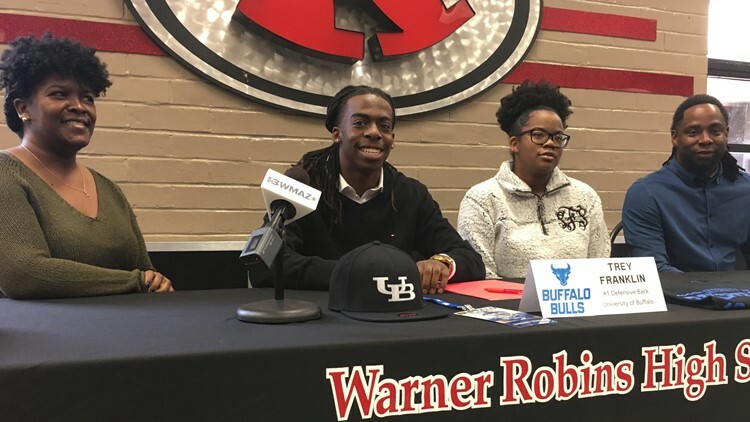 Senior Trey Franklin also signed to play football at University of Buffalo. 12:30 p.m. Jones County HS senior Trey Bonner signs to play football at Georgia State University. 1 p.m. Southwest Macon HS seniors Jaquez Pennimon and Marquez Baxter both signed Wednesday. Pennimon is headed to Georgia State and Baxter is headed to Kennesaw State. 2:30 p.m. UGA picks up 5-star player Travon Walker from Upson-Lee. He's viewed as the #2 defensive tackle in the United States. 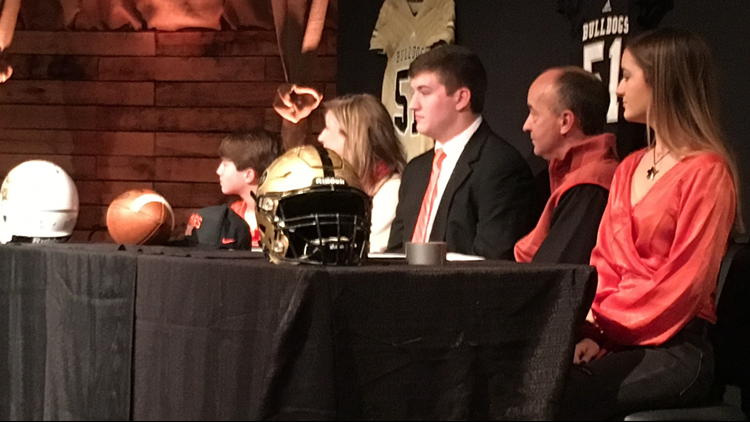 7:25 p.m.: Mary Persons' Colton Dingmore signs to Mercer University.